While every care has been taken in the compilation of these information, Closed-loop Technology Pte Ltd disclaims liability for any inaccuracy, loss, damages or inconvenience caused resulting from the inappropriate use of any content on this site including infringement of copyrights or defamation. our web site, please e-mail to support@closed-loop.biz with full details. All photographic images in pages within the www.closed-loop.biz domain are © Copyright by Closed-loop Technology Pte Ltd, unless otherwise stated, under Section 17 of the Copyright, Designs and Patents Acts 1988. 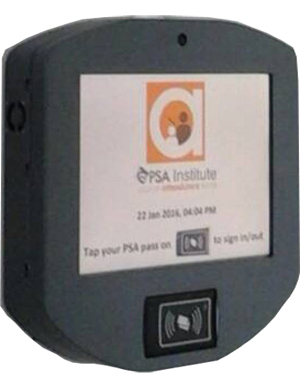 Pass Application in PSA goes self-service. Applicant submit their particulars, forms and take passport photo at the kiosk. Automated Passport and ID scanning speed up the process. Queue Ticket Kiosk issues queue ticket according to the services required, thus shortening queue. Visitors will just need to scan their ID and select the type of services required. 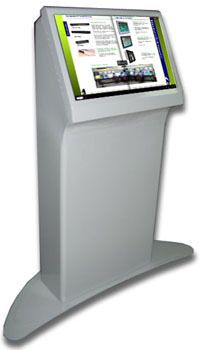 For tracking attendance of staff and to automatically calculate staff salary. . Simple design makes it versatile to deploy any where, on desktop, or on the wall. Built-in camera deter user from fraud.